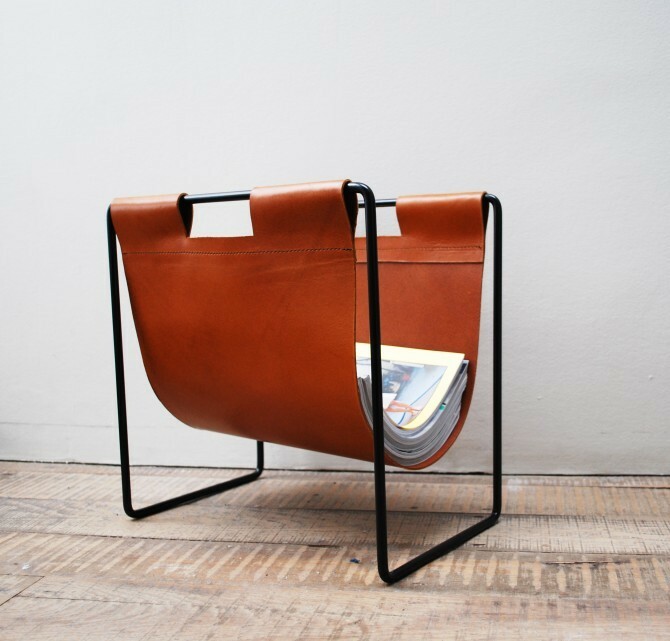 A simple but elegant magazine rack that gives a vintage feel. 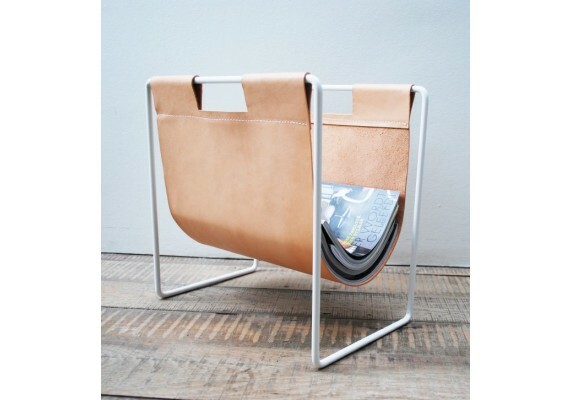 Available in white or black steel with natural leather with cognac-colored leather. 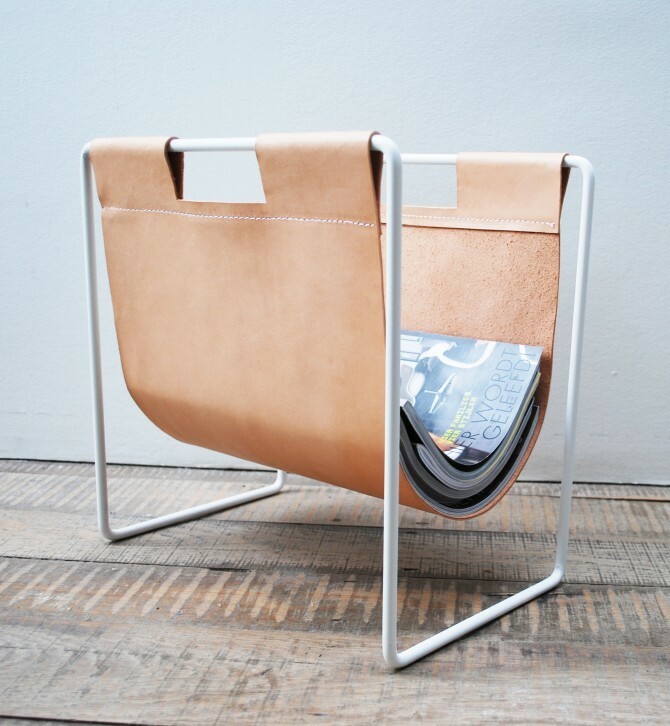 Designed by Ghent based Studio Woot Woot. The dimensions are 35 x 23 cm, the height is 35 cm. De afmetingen zijn 35 x 23 cm, de hoogte is 35 cm.